I missed out on favourites in January mainly because I was so busy or suffering from a cold for anything to stand out. I did however make a few repurchases. An old faithful made it's way into the December empties pile and was promptly repurchased. Funnily enough it was this time last year when I repurchased it. Whilst I'm a daily hair washer over the weekends I have been known to rely on just a spray of Batiste to get me through the day. I also find it comes in handy for bad hair days when hair is looking a little lifeless and I need something to provide a bit of oomph. 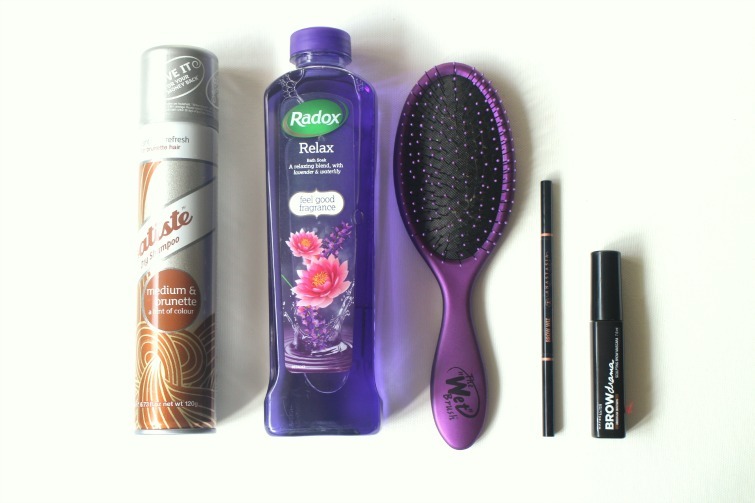 Radox has been mentioned many many times on my blog and you'll know I'm a fan. When you can pick up a bubble bath for £1 that fills the bathroom with a wonderful scent then why would you not? I recently tried another brands relax/lavendar scented product and it didn't hit the spot. Radox on the other hand provides the perfect evening bath. I love my Wet Brush which you can read about in this post but unfortunately it was starting to look a little sorry for itself so I decided to start 2015 with a brand new one. I don't think I would ever use another brush now. If you read this post you will know that I tried to replace this whilst in the US last year and actually picked up the brow pencil which wasn't discovered till I returned home. 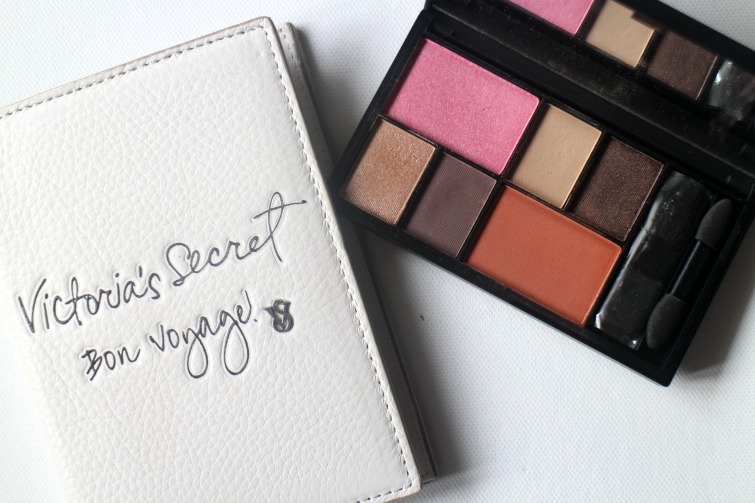 Whilst I don't use this product daily due to favouring the speed of the next product I'm going to mention it is always in my make up bag in case I want to go a little heavier with the brows. This is my go to lazy girl eyebrow treatment. If it's a 'special occasion' I go all out for brows but day to day a quick sweep of this across my lashes is sufficient to provide a great natural look. You can read my full review of this product here. So there are some favourite products I've recently repurchased. Have you had to stock up on old favourites recently? There is never a chance for me to experience Dry January due to Ben celebrating his birthday in that month (or that's my excuse anyway). 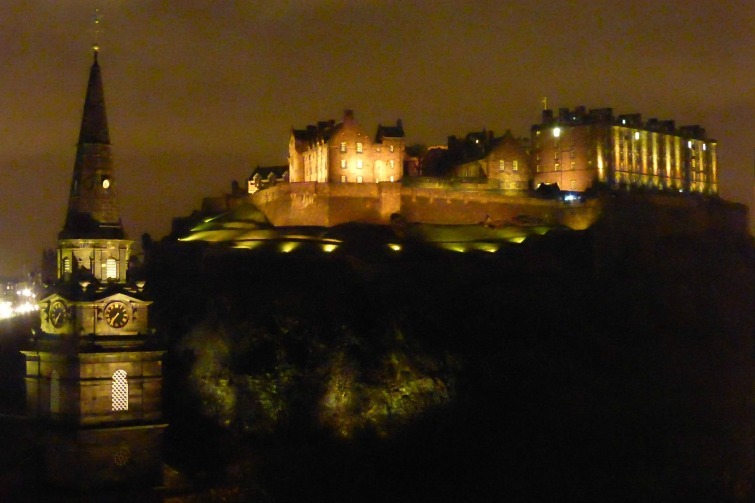 And it was over a few glasses of wine of Boxing Day when he announced to us that he wanted to go to Edinburgh this year. Slightly intoxicated we all agreed and mere days later flights and accommodation were booked. 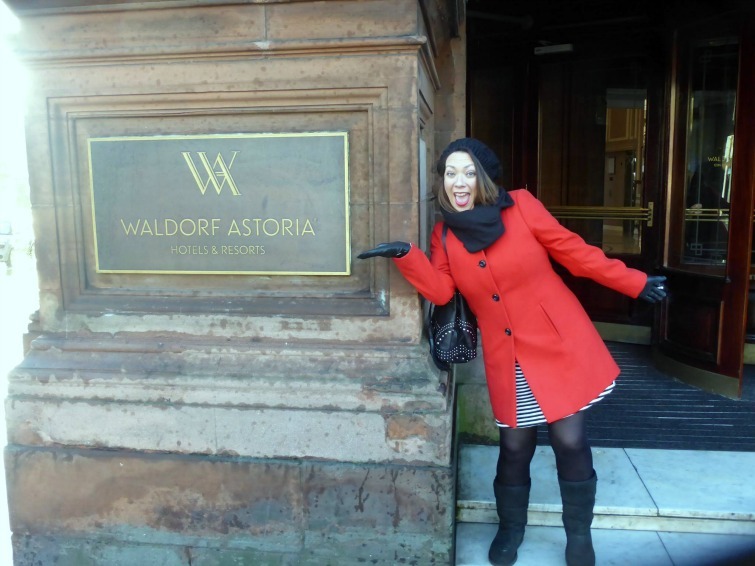 Our hotel of choice was the Waldorf Astoria, also known as The Caledonian or Caley locally - it got very confusing knowing which to ask for in taxis. 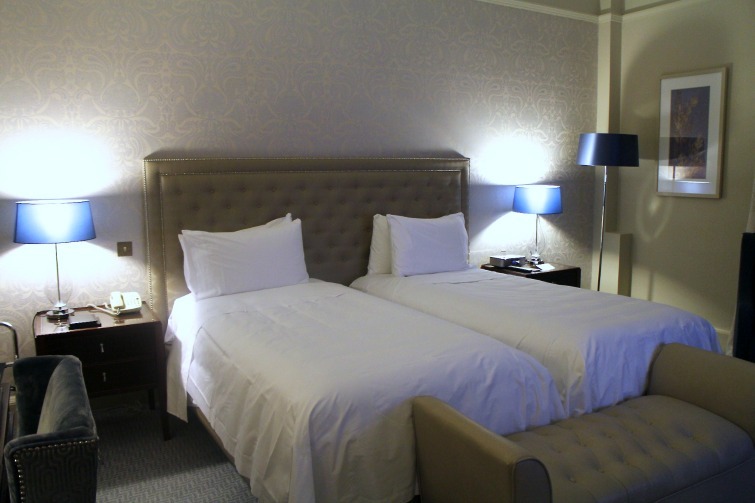 With views of Edinburgh Castle and located on Princes Street it certainly appeared to be the perfect location for our stay. 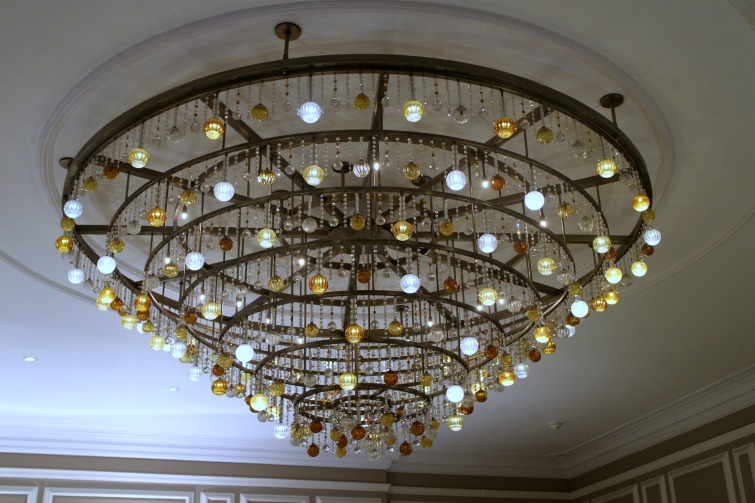 On arriving we entered the gorgeous lobby which was dominated by the amazing chandelier above. 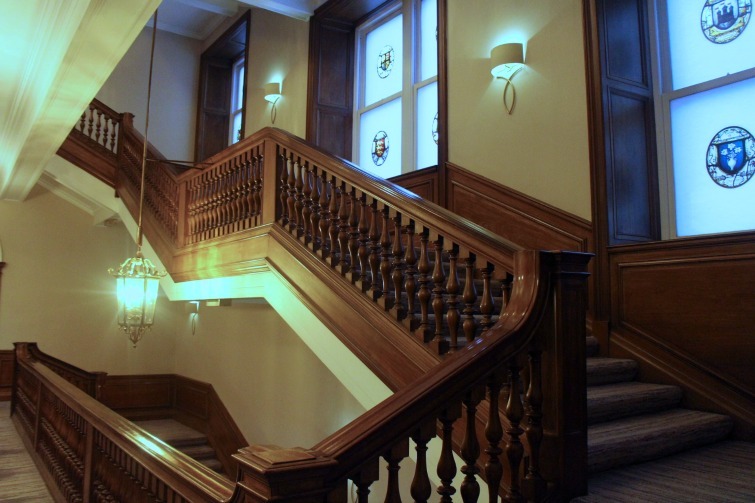 Tartan trousered men opened doors and we were soon whisking our way up to our rooms which had the most amazing view of Edinburgh Castle - yes this will do nicely. Ben and I had a fabulous twin room which was elegantly furnished and large enough for our needs and made the perfect location for our group breakfast on Saturday morning to celebrate Ben's birthday (more on that coming soon) and later on that afternoon when we choose to take shelter from the snow and watch a movie. 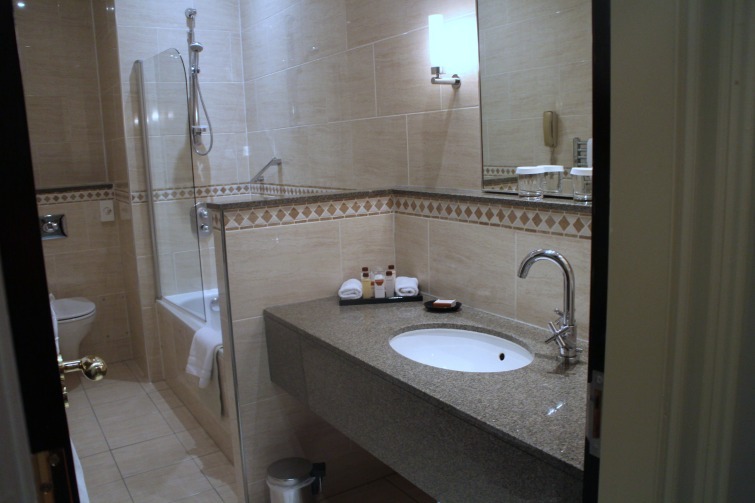 There's nothing I like more than a hotel bathroom especially one with it's own bathrobe and slippers. 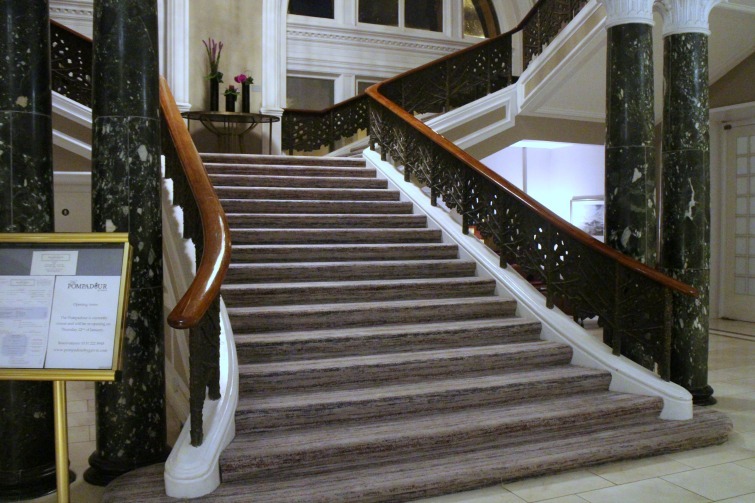 Beautiful staircase dominated this wonderful hotel and there were an array of bars and restaurants so if you chose you would never need to leave the hotel. 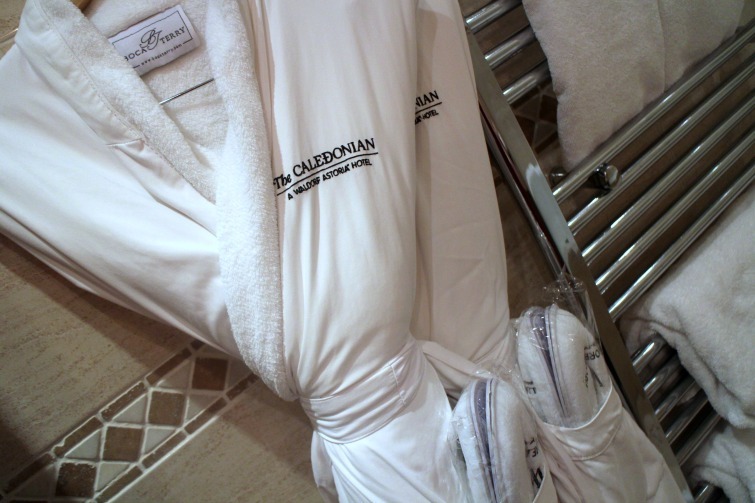 We took a walk down to the Guerlain Spa which was looked amazing but unfortunately they were fully booked and we'd also forgotten swimming costumes to enjoy the pool. Maybe next time. 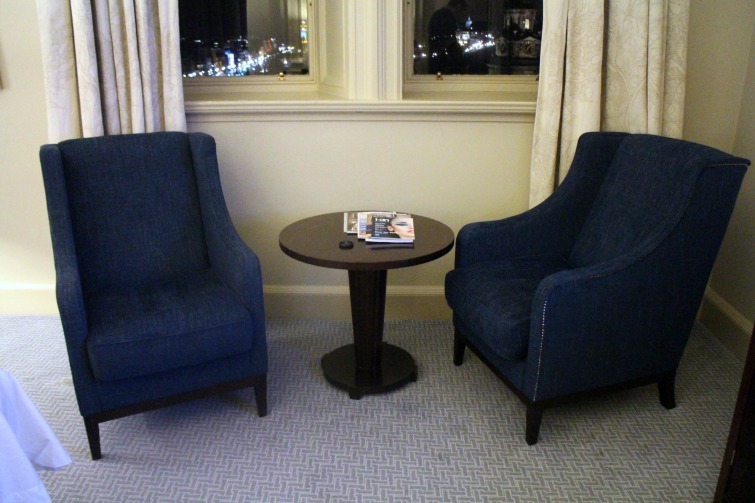 Our stay at The Caley was wonderful aside from our keycard continually refusing to work. Poor Ben spent more time going up and down the lift of an evening trying to rectify it than he did in the room I think. 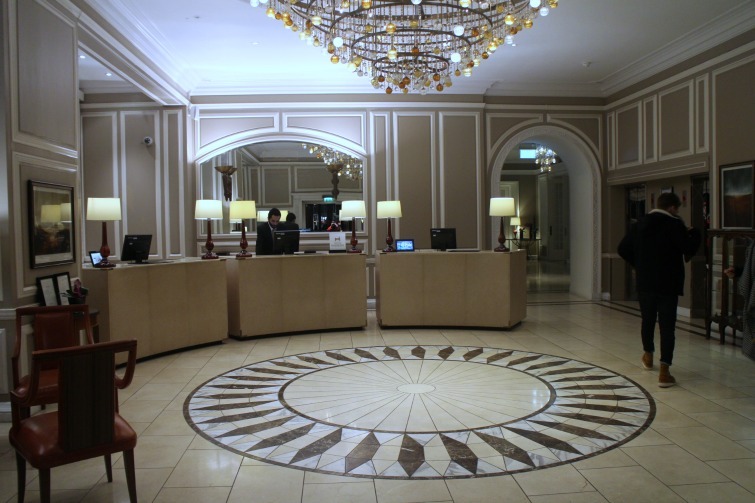 I'd highly recommend this hotel to anyone looking for a little luxury and perfection base for any trip to Edinburgh. It's hard to miss when Benefit launches a new product and never more so than with only their second mascara, Roller Lash. I have to say due to the huge promotional campaigns I'm often bored of the product before it even hits stores. Don't get me wrong it'd be amazing to be part of the blogger list who receives the amazing parcels many receive but sometimes the numerous blog posts can be overkill. That said here I am with a review of Roller Lash as I quite obviously couldn't resist picking up a free copy included in this month's Elle Magazine. Benefit already own the title of They're Real Mascara being one of the UKs best selling mascara's which tends to be either loved or hated. I do own They're Real but have actually never tried it. Well that's not actually true. 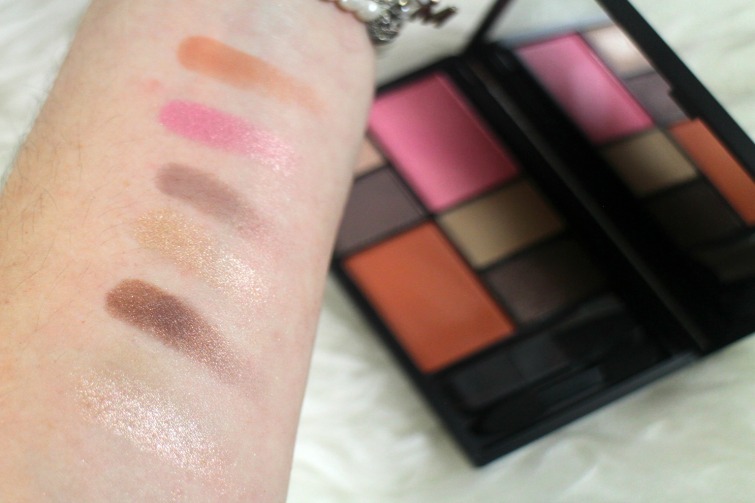 When I picked up my copy of Elle I thought I could do a review and comparison of both. After wearing They're Real once I wasn't particularly impressed and cast aside briefly to try Roller Lash and haven't put it down since. So that in a nutshell tells you all you need to know, I'm a big fan of Roller Lash. I'm fairly 'new' to mascaras in that it's never been my 'must have' product, nor the one I'd feel naked without and something my mum always used to chastise me about not wearing. Partly because of my apathy with mascara I'm not clearer than ever about what I do and don't like from them. And what do I like about Roller Lash? I love their patented curved brush and find it so simple to apply. placing at the root of the lash and wiggling to the tip to pretty much coat all lashes at once. So quick and easy. There is no fall out nor clumping to speak of and you're left with the lift and curl they promise as well as seeing your lashes separated nicely which I hope is represented well in the photo below. For a former non mascara wearer I seem to have rather a large stash of mascaras but this has definitely found it's way into my heart. I love the appearance of my lashes wearing Roller Lash and would definitely repurchase in the full size. As for They're Real I'll give it another try and report back and maybe even try as Benefit suggest layered on over Roller Lash. 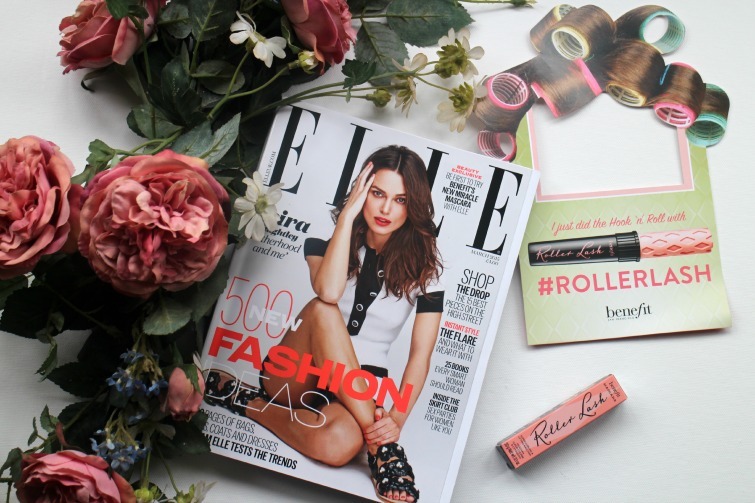 Have you picked up your copy of Elle and Roller Lash yet? Early readers of my blog will know if it's vintage roots and my love of anything from yesteryear and I'm completely in love with the packaging for Goya Black Rose*, a fragrance first created in the 1950's. The relaunch of this fragrance has been done with the assistance of the founders son and the original oil suppliers to ensure the iconic fragrance from it's time met high expectations for those who were disappointed when it was discontinued in the 80s. Unfortunately I'm not a fan of rose scents and this is very true to that and as such not for me but if you're a fan of rose you will love this floral bouquet of vintage glamour. I did wear the fragrance for the purposes of this post and the scent was long lasting yet inoffensive, even for my non rose loving nose. What I do love is a good red nail polish and I recently tried my first from Red Carpet Manicure in Glitz and Glamour*. Firstly I wish I had this nail polish at Christmas as it would be the perfect shade but it worked just nicely for the recent Valentine's Day celebrations. I'd call this a true red but given a shimmer dusting. It's the grown up version of glitter. The lacquer lasted a good 3-4 days before I started to see chipping although I expect even longer results with my eyeCANDY top coat going forward. I can fast see this shade becoming part of my red nails kit. 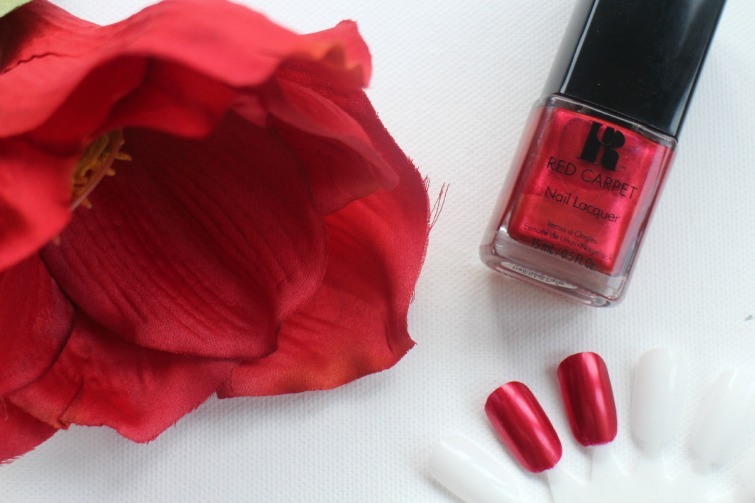 Red nails and red roses, one could almost believe it was Valentine's Day again! 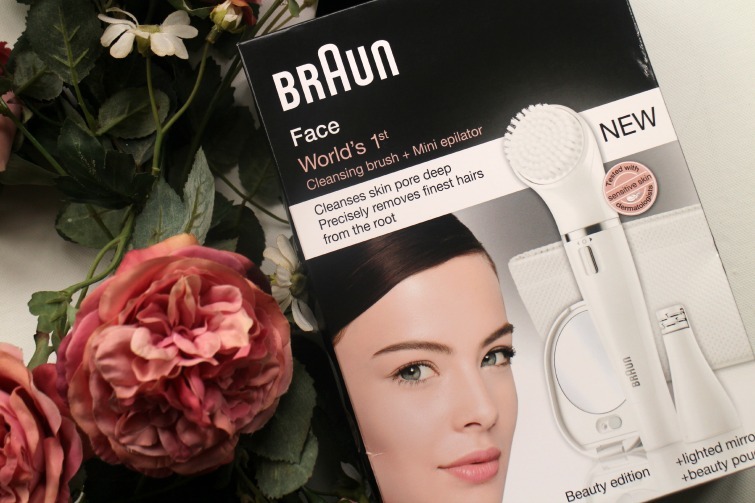 The opportunity to try the Braun Facial Cleansing Brush and Epilator* arrived just at the right time and get ready for a major statement, it quite simply has changed my life and my bank balance. In case I wasn't clear get ready for a rave review and a hairy girl story. Facial hair is something that I've always had to contend with due to being a dark brunette. Thankfully I escaped over plucking with tweezers in my youth and when the time came I went to salons for eyebrow waxing and sought the services of professionals and it became part of my regular beauty regime. As time went on the hair on my upper lip started to become more evident and that two was dealt with by waxing strips and when I was asked 'do you want your chin done as well' during one trip that too went on the list. I'd never experienced many problems with waxing. 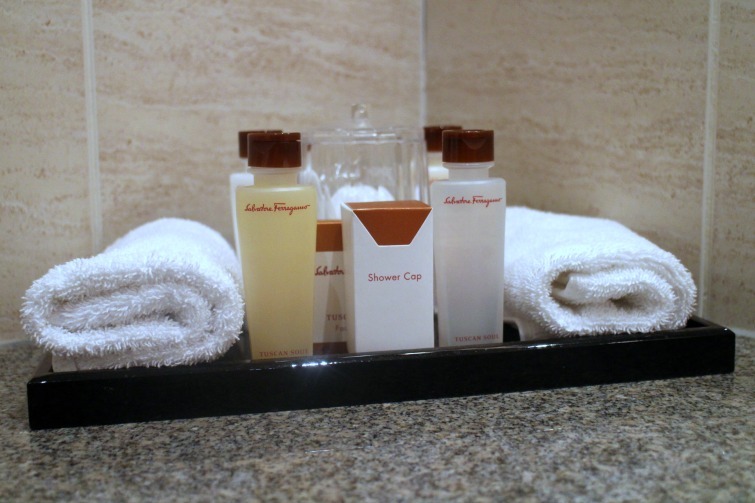 Yes there were the odd occurrences were wax was too hot and left me in some discomfort and I'd often experience blemishes after a waxing trip but on the whole I didn't have any issue with this method. Then threading became the in thing and a few friends recommended it and gave it a try. In comparison to waxing I don't find the process as 'relaxing' as those of you who have had eyebrows threaded will know the process of having to pull your eyes and the like makes it feel like you're doing half the work. It also takes longer to complete rather than the wax on wax off approach so it can cause some flinching but needs must. I find threading to be more precise than waxing, particularly round the upper lip and do not experience any of the previous blemishes or redness that would occur with waxing. My threading salon of choice is Shavata at House of Fraser, just round the corner to my office and I'm able to drop in without appointment as needs must. The only issue I had at this point was the cost involved in my regular threading trips. I was paying at least £47 monthly for eyebrows, lip, chin and by this point my neck was also dealt with by the cotton thread. As 2015 arrived I had decided to try and be a little thriftier and see where I could save money. I discovered a local salon also did threading I thought I'd give them a try to see if I could cut some costs. Cut costs I did, my usual £47 trip cost just £15 but as those of you who saw my Instagram photo will know I paid in other ways. Both my eyebrows were bruised and my neck (as the photo shows) was covered in red spots/bumps. I think it's safe to say I would not be returning. Resigned to spending the £47 a month enter the Braun Facial Cleansing Brush and Epilator* that would change everything. Many people had discussed laser hair removal and epilators and the like to me previously but I'd always dismissed them. Not because I wasn't interested but the large initial outlay for untested results was of concern. In this instance the Braun Epilator is £89.99 so it's not something you would purchase lightly. Whilst I received mine as a PR Sample I will state now if this is lost, breaks or for whatever reason no longer in my possession I will repurchase immediately. I'll also explain before I continue that I have no yet tried the cleansing brush element as it's secondary to what I want to use it for and I'm not yet convinced of the whole cleansing brush 'thing'. Obviously should I have an update on that later I will let you know but today's posts is about the epilator system. 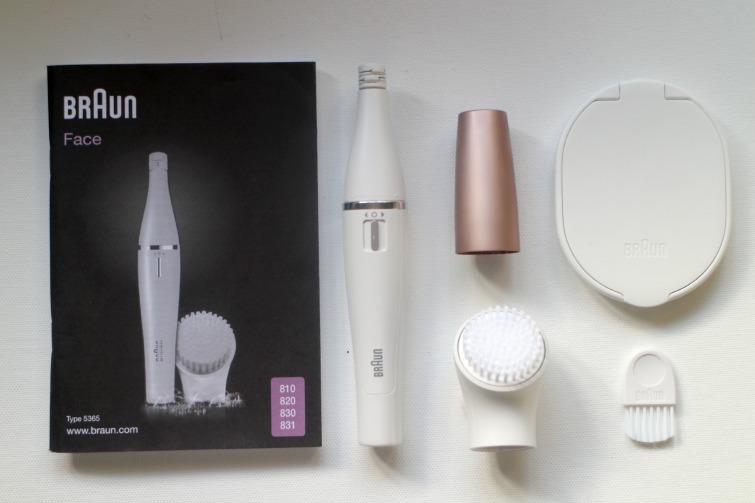 The box contains the facial epilator, a lid, cleansing brush head, illuminated mirror, and a small brush for cleaning. Also included is a handy little pouch for you to keep everything contained. The epilator itself is battery operated and compact in it's 5.5 inches length so ideal for travel and it will certainly be travelling with me. Epilation is often preferred due to it being able to remove the finest and shortest of hairs from the root and of course the motorised function means it's faster that your every day tweezer method. It is also longer lasting which I certainly have noticed. The problem with threading is you walk out with a smooth lip, chin etc etc and then the next day or two a fresh new hair has appeared. The beauty of having an epilator at home is that you can simple give the area a once over whenever you feel the need. I would be lying if I said I hadn't become somewhat obsessed with this handy gadget and have taken to using it almost daily. It's also slightly disappointing to see the lack of hair to tackle due to it's longer lasting results. The process to use is very simple. The plucking movement can be switched on to go either left or right in rotation and then you simple run over the area. The first time I used this I had more hair to contend with and for me it was slightly satisfying as you'd feel it nip on a hair. If this is your first use and/or you have a lot of hair to deal with then it may cause some discomfort. I don't find it unpleasant, particularly on the neck and chin areas but the upper lip is a little more obvious but no so I'm concerned. Now I'm at a stage where the regrowth is minimal it can be frustrating when you can feel or see one particular hair and fight with the epilator to grab it. I've found the best way is a combination of turning the switch to left and right rotations and simply pressing down gently on the area so that it eventually catches. As I mentioned I've taken to using the Braun Facial Epilator with some frequency and I've had not obvious discomfort nor markings to my skin, not even any redness. Braun do say you can tackle brows with this device but I just find that too fiddly and don't think the epilator head is small enough nor my skill precise enough to do that. As I mentioned I was previously paying £47 for my threading trips so when I work out that just two visits would pay for this device, or let's say three as I'm still having my eyebrows dealt with then it means I will have saved hundreds by the end of the year. I wish I had discovered the Braun Facial Epilator sooner as it would have saved me a fortune in time and money. If you're on the fence for something like this or struggle with facial hair then I'd strongly urge you to give it a try. If you read the reviews many will favour the cleansing brush element of this product and find the epilation painful but honestly it's only akin to threading. 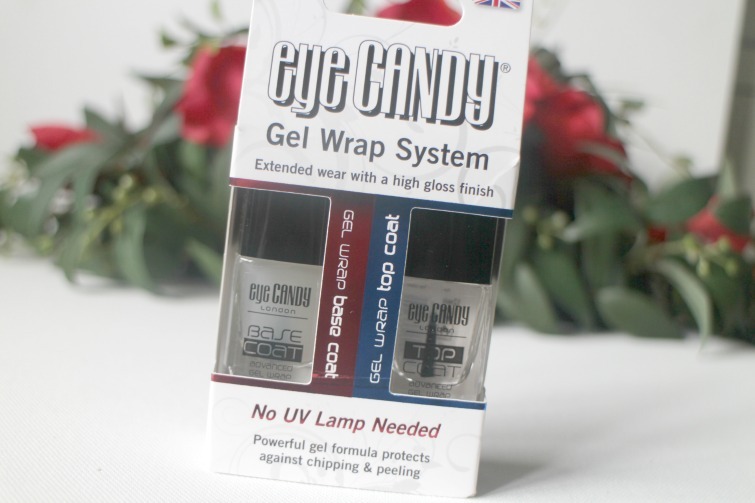 I had been rather indifferent to the eyeCANDY Gel Wrap System* when it landed on my doorstep and wasn't in any particular rush to test out and review. I don't get that excited about nails/nail products. Yes I love a good red nail polish but my nails aren't fantastic as I've discussed regularly and I'm not diligent enough with taking care of them despite the hefty stash of products I have on hand - pun intended. I do paint my nails on a somewhat regular basis but despite using various good quality top coats I don't seem to get the extreme, no chipping wear everyone else experiences. Laziness means that when chipping occurs I don't rush to repaint and then a nail breaks and the whole cycle begins. That could all be due to change due to the fantastic eyeCANDY Top Coat please let me tell you more. 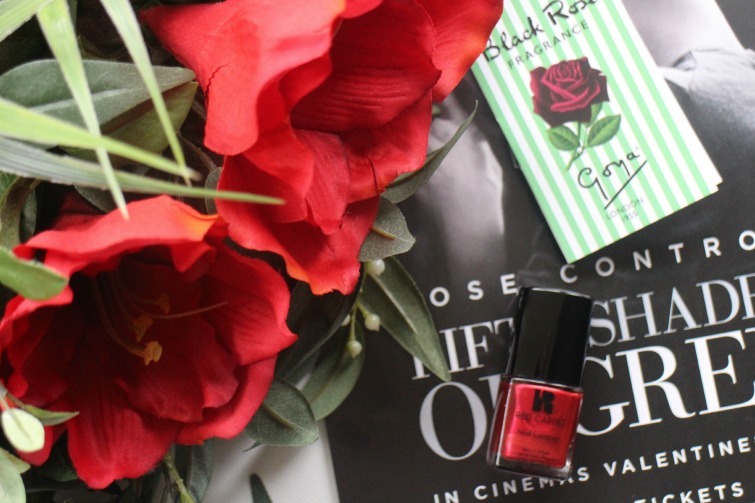 I'd taken the necessary 'blogger photos' and then added the set to my 'test' pile and went about my business as normal till I was having a declutter of my nail polish collection. Last Summer I'd picked up the Maybelline Super Stay Colour in Hot Salsa and remember being thoroughly livid with it because despite it's rave reviews from bloggers everywhere it chipped almost immediately on me reminiscent of Chanel Nail Colours. The colour also wasn't what I expected for one called 'Hot Salsa' but I digress. I decided to give it one last try before I moved it into my ditch pile and took the opportunity to test out the eyeCANDY products. Unfortunately I cannot get the lid off the base coat so note this review is solely for the top coat and it's performance alone. For info I used the Nails Inc Base Coat instead. 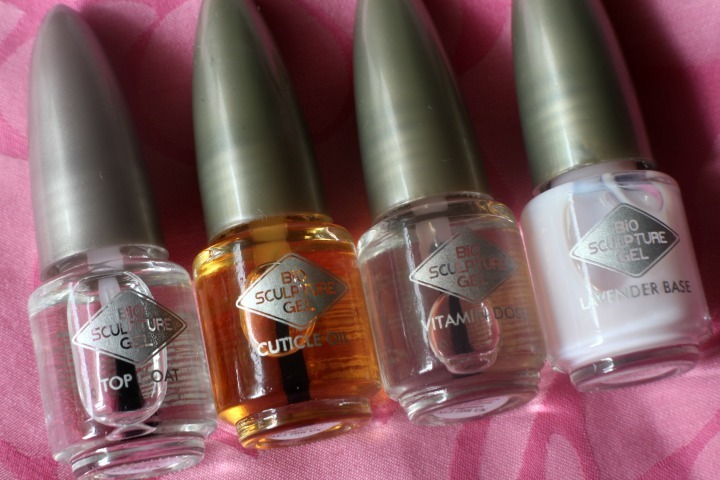 As we know gel manicures are the thing right now and unlike many other nail systems in the past it's a look we can achieve at home although as I mentioned in this post they can cause weakness to nails after repeated use. We are now seeing a flurry of gel top coats which do not require UV lamps so cutting down the costs/equipment required yet still providing the longevity of a gel manicure - or so they say. Let's just say I'm amazed because the eyeCANDY gel top coat is one of the best I've used of late. I'm excited if I can make 2 - 3 days out of my nail colour and I can report I am on day 6 and we're still going strong and that's with the nail polish I was ready to bin for chipping. Yes there is some signs of wear and a small chip on the nails I'd refer to as tools i.e. the thumb that's picked at something but otherwise if you were to look at my hands today you could be fooled into thinking they'd just been painted. I've never been particularly wowed by Seche Vite apart from it's ability to speed up the drying process and whilst the eyeCANDY Top Coat is a similar consistency it's prevention of chipping far outweighs it and for a more affordable price tag. Obviously due to my such rave review I want to explore this product even further and test with some other nail products and I'll report back on removal etcetera in a later post for completeness but either way I'm sold on this product that you can throw into your trolley during your supermarket shop. I love a Biosculpture manicure but the removal of gel nails has to be up there as one of the worst parts of my beauty regime but removing the gel polish correctly is quite important. The first experience I had with gel nails I must confess as they lifted I peeled away the polish which of course is not ideal as you are peeling away layers of the actual nail. As my nails are not the strongest due to years of acrylics and then of course the daily grind of applying nail polish taking the time to remove my gels properly is important. 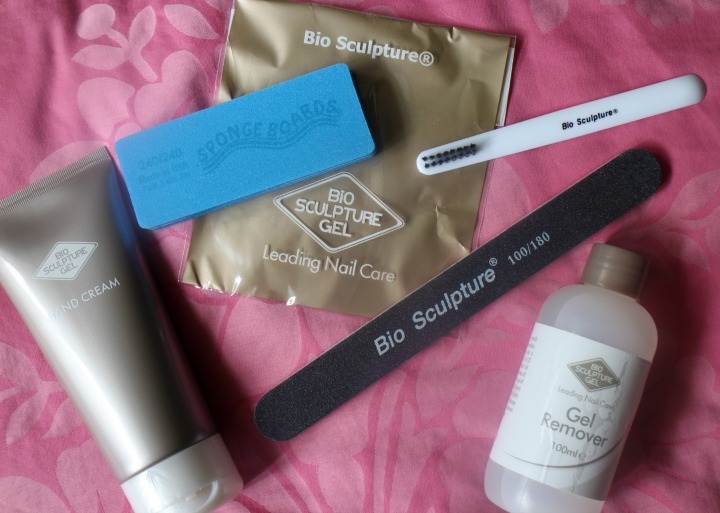 When I had a biosculpture manicure last Summer I was giving a handy pack of all the tools I need to remove the gel properly at home. Included in the pack was files, hand cream, gel remover and bottles of cuticle oil and Vitamin E dose to treat the nail once the colour was removed. Some cotton pads and tin foil finish off the requirements for a night on the sofa with my hands out of action. Of course the gel remover is simply an acetone formula and I find how quickly the process is depends much on the colour and time of when you remove the nails. I used this pack when removing a Gelish manicure last week and as I was wearing a dark purple shade it took slightly longer than my previous experience. Of course it's also quite fiddly if you're not ambedextrous as you try to wrap the foil around the nail (with an acetone soaked piece of cotton wool). I prefer to do one hand at a time so I can still tap away on my phone or laptop which prolongs the process but avoids becoming too impatient, removing the foils and having to aggressively scrape the remains rather than a gentle nudge with an orange stick. I have found after two continuous gel applications my nails were possibly weaker than usual so I enjoyed giving them a break over the weekend from gels or nail polish but using the Biosculpture Lavender Base helped to give them a shine and treatment. Having gel polish removed in salons can add extra time and money onto your appointments so I much prefer to do this job at home so a pack such as this is worthwhile - especially if it stops me from naughty picking. Now it's time for you to 'fess up - do you peel or remove your gel manicure 'properly'? I've never really been one for haircare. Shampoo, conditioner and off I go, complaining when my hair isn't behaving as I'd like. 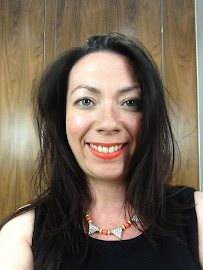 Last year I finally managed to tame my tresses, avoiding using the hairdryer as soon as I'd step out of the shampoo to minimise damage and exploring texturising sprays and the like. My hair has thanked me for it but I am still prone to the odd bit of frizz which I've managed to tame with Dr Oranics' Moroccan Argan Oil Hair Treatment Serum*. The hair serum has sat in the depths of my beauty stashes for some time after not giving it much thought as I'm slightly paranoid about putting serums, oils and the like in my hair and fearing they'll make them greasier than they are. Much like learning using oils in your skincare won't make your skin oiler I thought I'd start giving this serum a try and see how I got on. 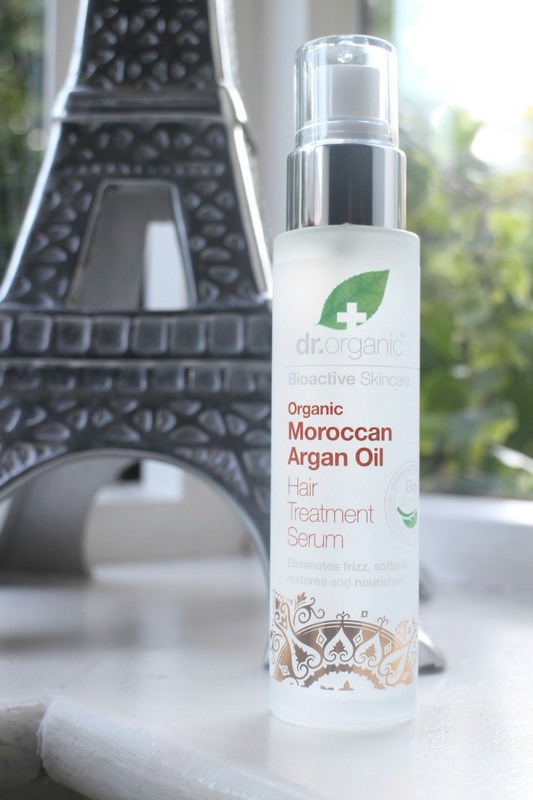 So Moroccan Argan Oil, the ingredient that every hair product wants to include due to its rich source of vitamins, antioxidant and fatty acids. Of course Dr Organic use an abundance of natural properties in their products and have combined essential oils and fruit extracts to create an great smelling product. I wish I'd started using this over Christmas due to it's spicy cinnamon scent. You have a thick serum that is gel like in it's slickness. Yes it initially has a slight greasiness to it but that absorbs very quickly and you aren't left with hands that would contain excess products to undo any good work you might be attempting with this product. There are a couple of ways you can use this hair treatment serum; applying directly to hair without rinsing, massaging through clean hair and styling or apply to dry hair for styling purposes. I've found most use for taming frizz, especially when I'm attempting to curl my hair and things can get a little fried or at the end of the day when I do some manic brushing and attempt more than a little lift than I'd like. I was convinced that I wouldn't enjoy a product like this as I can't abide greasy hair but just a few small drops can achieve a sleek shiny look without the grease factor and it's become a pleasure to use. I can only imagine how long this bottle will last as even with recent frequent use I've barely made a dent in the rather nice glass bottle which is probably it's only downside as it won't make travelling with it ideal. Are you a fan of Argan Oil and hair treatments? 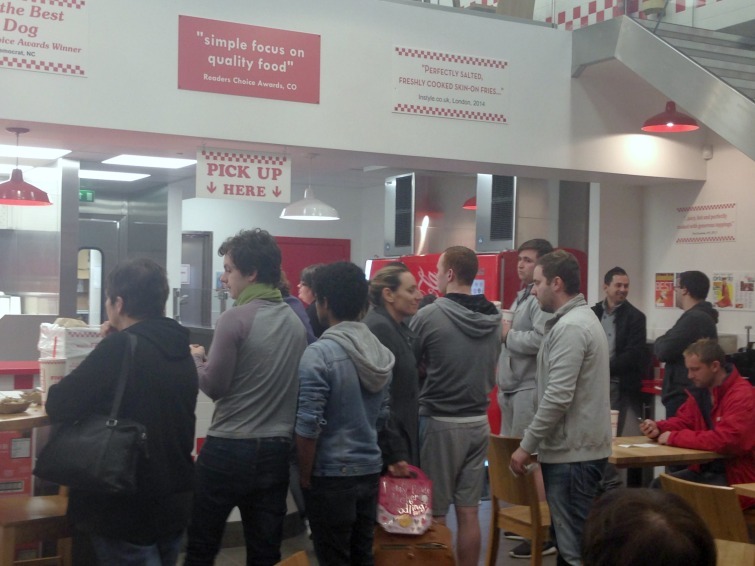 When Five Guys, the American burger chain opened their first branch in London over a year ago there were queues round the block. 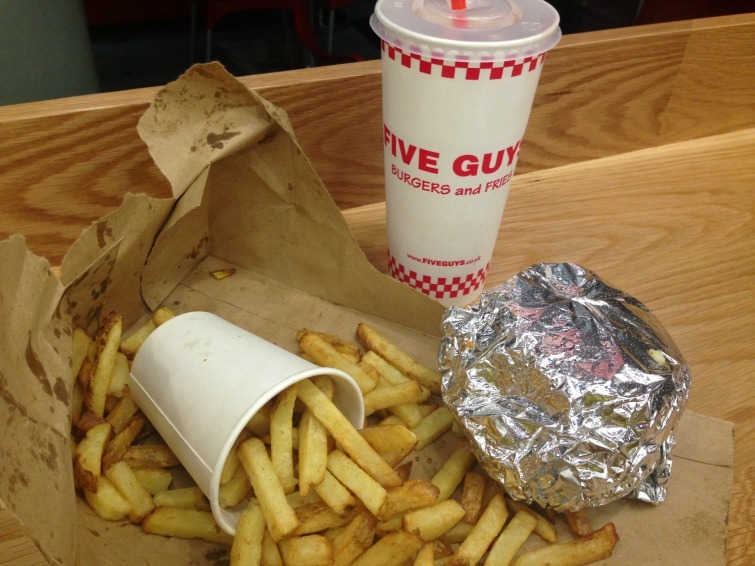 Soon we saw Five Guys popping up around the UK and most excitedly one in Harlow, a town I visit often for a spot of retail therapy. This could certainly be dangerous. 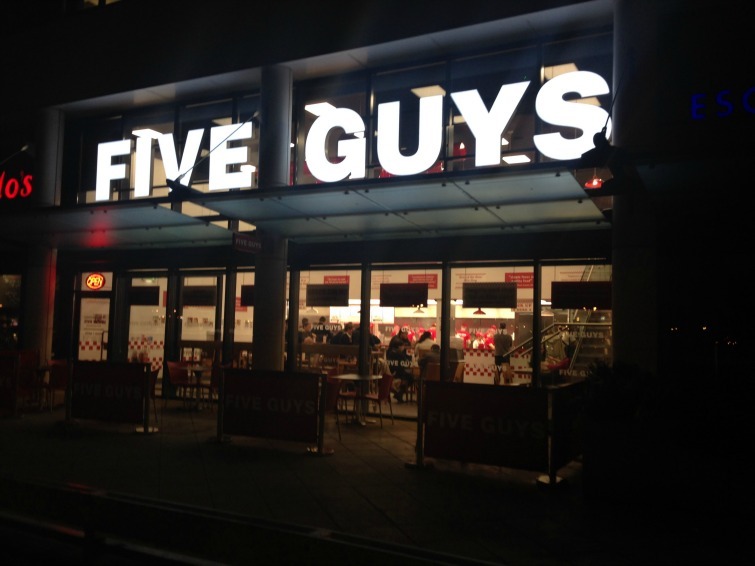 If you read my burger battle between Five Guys and Shake Shack you will remember that Five Guys was the winner for me so how would this local branch compare? Despite popping along for my visit weeks after it's opening the store was packed full of people hungrily waiting for their burgers, it certainly seemed to take a lot longer than the London branch had but that could just be due to my being so hungry. Everything you recognise from Five Guys is at this local branch, the familiar red and white decor, the menu and of course the famous drinks machine offering all manner of soft drinks you could wish for (cherry 7 Up zero for me). Despite the numbers there is plenty of seating in this large branch and finally I was handed my brown paper bag which was promptly ripped open ready to dive into. On this occasion the fries which were previously such a hit didn't quite hit the spot, delicious but dare I say too 'potatoe-y' and firm than I remembered. I once again went for the double burger with bacon and cheese and it was delicious and high quality there is no denying that but it just felt too dry and heavy to enjoy, especially on top of the chips. Now I'm not one with a small appetite but I struggled to eat this. As I sat and enjoyed my burger overlooked by Ben we debated the burger venues available to us. I still rate Patty & Bun as my number one but Ben finds them 'too wet' and prefers Five Guys so I think it all comes down to the style of burger you prefer. Either way I'm glad to have this piece of Americana down the road and we all know this won't be my last visit. 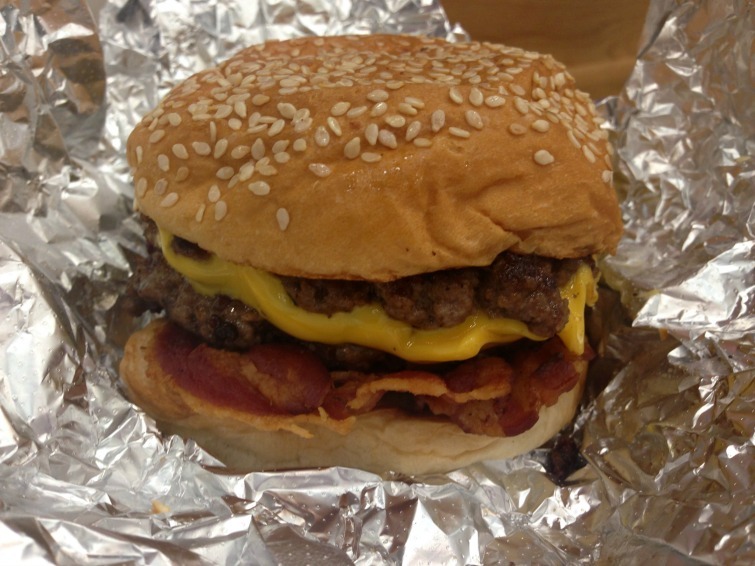 Are you a Five Guys fan? Last week I popped into Oliver Bonas to pick up a gift I'd ordered online and somehow walked out with two for myself - isn't that always the way. There was absolutely no way I could leave the Flamingo Air Freshener behind, you all know how much I love those cute pink fellas. And with my car due a clean at the weekend this would be the perfect accompaniment to bring a smile to my face for any long drives. I'm always on the lookout for a new card holders as daily use with oyster cards and work passes requires them being pulled in and out of my bag means they can take a battering. 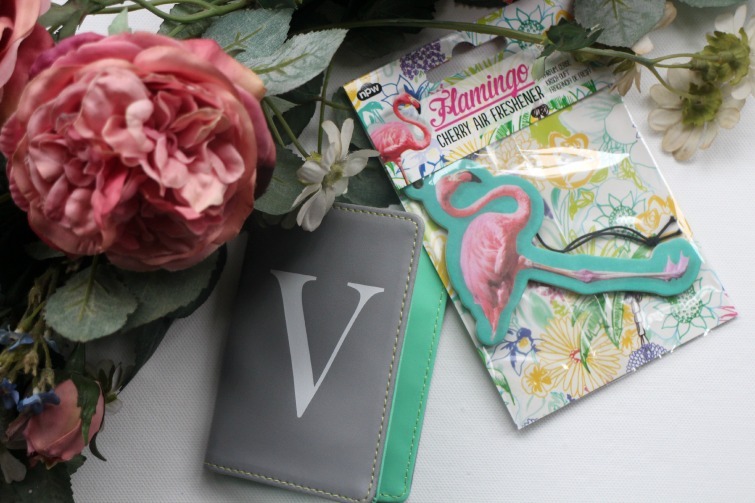 The Alphabet Card Holder in it's gorgeous grey and mint green colour way caught my attention especially as it had a big old V on the cover - my nickname at work. One requirement of any card holder is a clear compartment so that I can flash my id card as I walk in and out of my office building and this had just that - perfect. Neither essentials but both functional and who doesn't like to treat themselves occasionally. 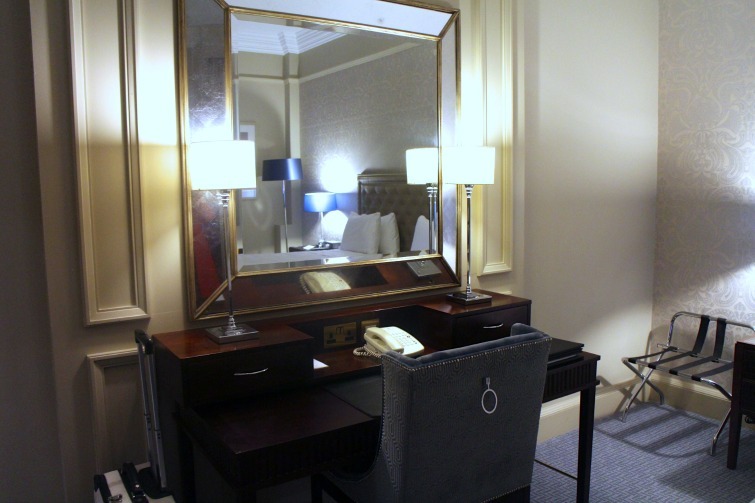 What have you treated yourself to recently?